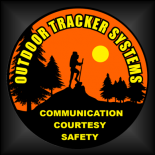 A Guide and Outfitter’s Dream Come True | Outdoor Tracker Systems, Inc. The outdoor industry is evolving every day with new products and services to improve the outdoor experience. And, huntLINX from Outdoor Tracker Systems is an evolution in management software for Guides & Outfitters unlike anything you’ve ever seen before. For decades, Guides & Outfitters have relied on reams of paper to record and catalogue their experiences afield: folding maps, wall maps, written journals, pictures, notes, etc. The problem with all of these is that you still have to remember which journal, map or tablet you used to record all of your valuable information, and then you have to find it when you need it. Well, huntLINX from Outdoor Tracker Systems has arrived! With huntLINX, our satellite imagery replaces your individual maps with your own map of the world. Anyplace that you Hunt, Fish, Hike, Camp or Ride is visible in a satellite environment, only limited by the size of the screen you choose to view it on. And, we’ve made scouting from your home or office alot easier by offering three different types of maps for your viewing pleasure: Satellite Imagery, Topographical, and Streets/Roads. Zoom right in and, with our Hunt, Scout, Fish & Trail icons, you can identify all of the stands, blinds, food plots, property features and amenities with a click of your mouse. However, huntLINX doesn’t stop there. Each activity icon that you’ve placed is a file cabinet that you can fill with up to 50 data fields about each location you’ve plotted. We provide ‘file folders’ for General location characteristics, a Detail tab to log amenities and improvements, the Media folder for Game/Trail camera pics, a 5-Day Weather forecast for that location, and an E-Journal to record each day’s success. Additionally, a User Defined tab allows you to customize the program to better meet your needs. Imagine sitting in your lodge with clients and every place with every detail about your plans for them are visible on your big screen! Try that on your cell phone. But, we’re not finished yet! Our unique Client Management module is an integrated contact manager for everyone who visits your camp. Record over 25 pieces of information about each of them to help you determine the hunting locations that are best suited for their skills. Then, use the E-Journal to assign them within huntLINX, and your customer history in now available at your fingertips. HuntLINX also has various utilities to sort, export, and print reports. These features are particularly helpful in stand/blind selection, client placement, and for printing property maps. Why would you pay for one property map when you can view and print unlimited international maps from huntLINX? The future of hunting management has arrived, and it is called huntLINX. Find huntLINX only at OutdoorTrackerSystems.com where you can test drive the Demo version, register for a FREE 30-Day Trial of our Sportsman Edition, or buy the full featured Outfitter/500 Editions. This entry was posted on June 10, 2013 by outd9522 and tagged acres, application, archery, bait, blind, camera, camp, Camping, client, communication, deer, emergency, fish, food, food plot, game, guide, Guides & Outfitters, hike, hunt, hunting, huntlinx, journal, location, manager, map, mapping, mineral, outdoor, Outdoor Tracker Systems, private, property, satellite, Scout, software, stand, wildlife, wind.